Transportation is always the most difficult part of itinerary arrange. It is not easy to understand the transportation system of a city that you have never been. The transportation may be different at different time. The transfer information may confuse passengers as well. The most frustrating part is that you have studied the transportation information for a few hours but you find the information not useful to your itinerary. I know the difficulty well since I travel so often. Therefore, the order of following material is according to your need when you arrange your itinerary. Before figure out the airport transportation, you need to know which airport you flight will land. You should check your itinerary in advance too since lots foreigners find that their itinerary is not doable after studying the information for a few days. The purpose of this section is to confirm some important facts. It takes you only a few minutes but saves you a lot of time for studying the wrong information. The first thing need to be clarified is the name of the airport. The airport codes may confuse you. 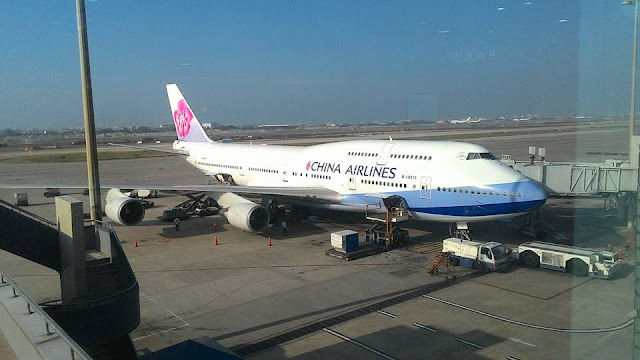 There are 2 airports around Taipei, Taoyuan Airport(TPE) &Taipei Songshan Airport (TSA). Taoyuan Airport(TPE) is the biggest civil airport in Taiwan. It is about 50 km away from Taipei. Taipei Songshan Airport (TSA) is is located in the metro area of Taipei. Because of space limit, most flight stop at Taoyuan Airport(TPE) &Taipei Songshan Airport (TSA). If your arriving airport is TSA, you may not need the following information. If your flight arrives Taoyuan Airport(TPE), make sure you inquire the correct information. Google Maps is a useful tool in Taiwan. It collect the time tables of train, high speed railway, bus, metro. It also have most attractions in English. It can give you some reliable alternatives with details including time, stop location, transfer information. Remember to input your planning hour when you check the transportation suggestion from Google Maps.. Since most transportation timetables are input in Google Maps, the solutions are different at different time. Therefore, there are some points you should know before reading the following introduction about the airport transportation. From some traveling forums, there are always questions asking the wrong or indirect questions. Some foreigner visitors may choose to take HSR to Fenjia night market. However, the transportation becomes: Taoyuan Airport(Metro)-> HSR Taiyuan(HSR)->HSR Taichung->(Bus 160)Fenjia Night Market. Taking Bus 1623 to Chaoma and then taking taxi(about NTD 100) or bus to Fenjia Night Market is a simple and cheaper solution. The following tips is important to your itinerary arrangement. Your itinerary affects the public transportation information you need when you arrive the airport. Arrangement daily itinerary is not independent. Lots visits arrange their daily itinerary independent. For examples, some foreigner visitors arrive the airport in the afternoon and they plan to go to Hualien in the evening. However, it may be not doable. Going to Taipei first and have a day trip to Taroko from Taipei would be a better alternative. A lots questions are not specific. For example, some ask how to go to Taichung but they don't mention that their destiny is Fenjia Night Market. The public transportation methods to Taichung may different. The fastest public transportation to Taichung may be HSR, but the fastest public transportation to Fenjia Night Market maybe shuttle bus since you don't need to transfer and the bus stop is closer to Fenjia Night Market than HSR station. Therefore, make sure your destiny. Asking a destiny other than your final destiny may put your itinerary in risk. Another misunderstanding is that train stations and HSR stations may be at the same station or may be ad different stations. Taipei Train Station and HSR Taipei Station are in Taipei Main Station, but Taichung Train Station and HSR Station are not in the same station. Be aware of the stations. Train stations and HSR stations may be at the same station or may be ad different stations. Taoyuan Airport(TPE) transportation is convenient. 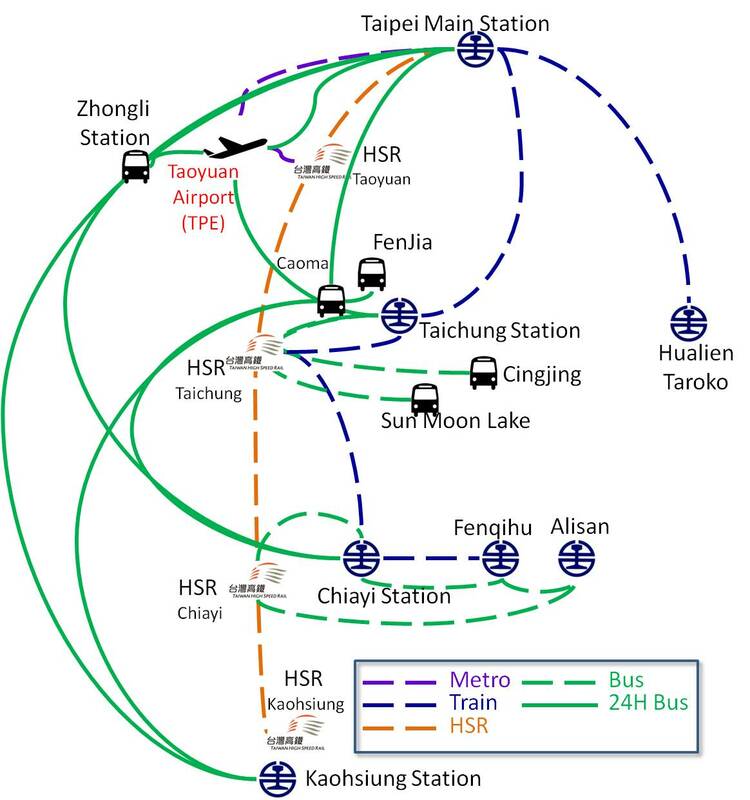 You can take Airport Metro to Taipei Main Station or HSR Taoyuan Station. You can also shuttle bus to Taipei Main Station, Taichung Station directly. The following tables are quick checking tables for your itinerary arrangement, one is for regular hour and one is for midnight(12 am~6 am). If you cannot find a airport transportation method that matches your itinerary, maybe you should rearrangement your itinerary. Be noted that the estimated duration is only for the transportation itself. The duration doesn't include the time need to transfer. The transfer hour may take one hour or 5 minutes, depending on your luck. The purpose of the check table is to help you to check your transportation arrangement when you arrive Taoyuan Airport(TPE). As you can see, the transportation to Fenjia Night Market and HSR Taichung Station are different. It may be not doable if you want to go to Hualien but arriving the airport after 5pm. The transportation methods mentioned above are simplified. This is a check table to give a general idea how to take the public transportation and how much time it takes without studying the details. The method is basing on the assumption that the reader is a foreigner who visit Taiwan for the first time. I list Airport Metro as the regular transportation to Taipei Main Station because Metro is much easier for a foreigner to takes than bus.You can use other alternatives which are not listed in the table. In additional to taxi, you can choose bus or Metro at Taoyuan Airport. Taoyuan Airport MRT is in service now. It takes only about 40 minutes between Taipei Main Station and the airport. 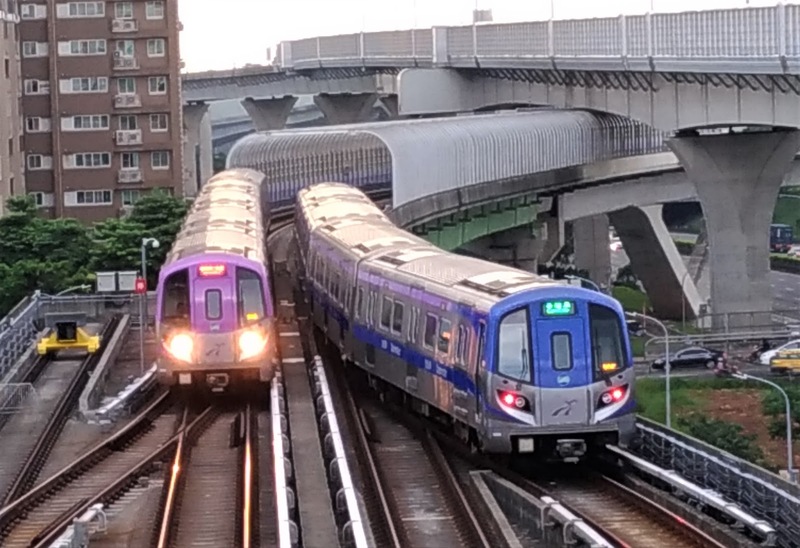 You can also take the MRT to HSR station and connect to other cities.A general misunderstanding for the public transportation in Taiwan is that HSR is the fastest transportation. However you may pay a much higher HSR fare but arrive your destiny slower. It happens for passengers with their first stop at Fenjia Night Market. There are more and more budget flights that arrive Taoyuan Airport in the midnight. The midnight transportation (12am~6am) is different from the solution in normal hour. You can stay in the airport until morning or you can take the midnight transportation. The midnight transportation is much difficult. Only Taipei, Taichung and Kaohsiung is reachable in the midnight. You can also go to Taipei or Taichung and then transfer to other cities, e.g. Tainan, Chiayi, since the bus between major cities are 24h. However, the transfer hour will make you exhausted in the midnight. There are more and more budget flights to Taiwan. Lots budget flight arrive Taoyuan Airport in the midnight (0 am~6 am). You may stay at the airport until sunrise. However, you could also take 24H bus to Taipei or Taichung directly. The following timetable is for bus schedule between 00:00~06:00. All the bus line will go to T1 or T2. It takes about 5 minutes between T1 & T2. If the bus launch from T2 at 01:00, then you can estimate that the bus will arrive T2 around 01:05. Since Taoyuan Airport is closed to freeway and there are 24H bus running between Taipei, Taichung, Chiayi, Tainan and Kaohsiung on the freeway, you can take go to Zhongli Service Area first and take other bus to your destiny. From some feedback, the tickets of bus 1819 to Taipei maybe sold out. If you don't want to take taxi and you don't want to take 1819, you can take 1627 first and then transfer to Taipei. If you have already known how to arrange your transportation, let'ts know more details about the transportation. There are some tips that makes your trip more smooth. 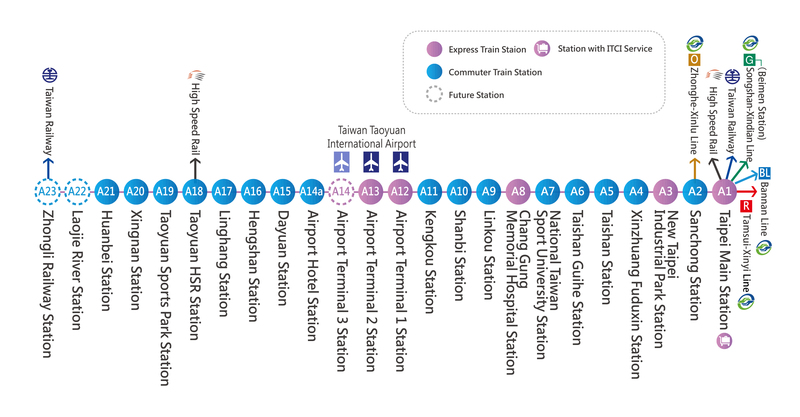 It takes only about 40 minutes between Taipei Main Station(A1) and the airport(A12/A13) by Taoyuan Airport Metro. You can also take the MRT to HSR Taoyuan Station(A18) and connect to other cities. 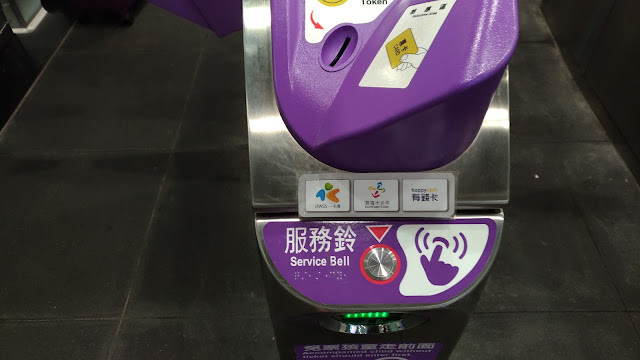 Although there are lots bus, for a foreign visitor MRT is much easier to access since the station is easier to identifier and the route information is easier to understand. There are some information you may need to know. The airport MRT has 2 trains. 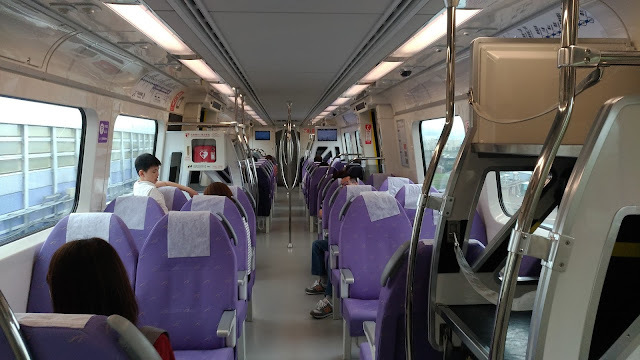 Commuter train takes 51 minutes from Taipei Main Station to T2 (48 minutes to T1) minuter. 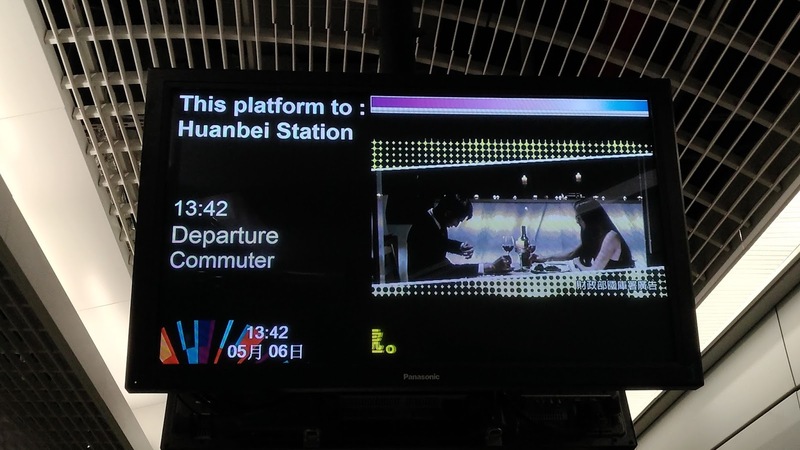 Express train takes 38 minutes from Taipei Main Station to T2 (36 minutes to T1) minuter. At Taipei Main Station, the platforms of commuter train and express train are different and you won't get confused with the train. However, the platform is the same at the airport. You can identify the train from the billboard at the platform. 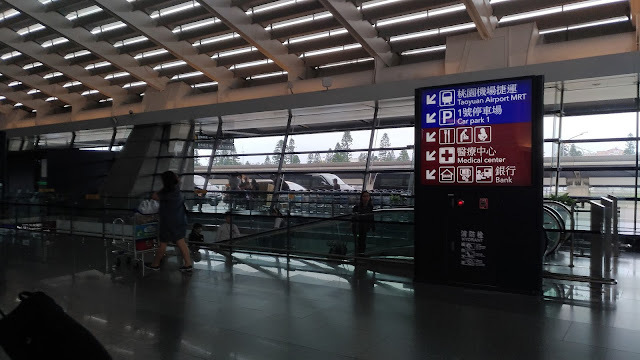 Although the name of Taoyuan Airport MRT at Taipei Main Station is the same as HSR, Train, Taipei MRT, there is 350m between the ariport MRT to Taipei Main Station(HSR, Taipei MRT, Train). You can use easycard and iPASS directly at the airport MRT. You can use Easycard and iPASS at Taipei MRT, almost all buses in Taiwan, convenient stores including 7-11 familymart, Therefore you can buy a easycard or iPASS at the convenient stores or the airport station and use the card to pass the gate. 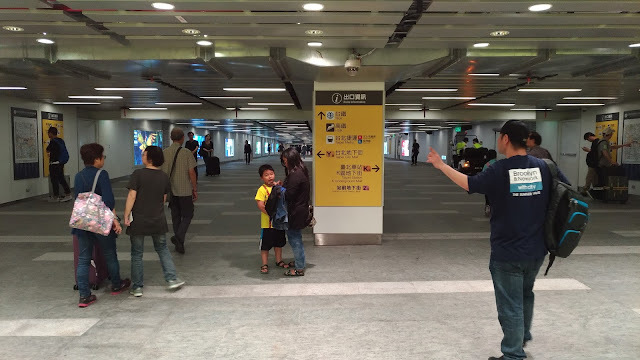 Because the Taoyuan Airport MRT connect the airport and HSR station, your itinerary could be more flexible. You can go to Taichung, Kaohsiung, Chiayi via High Speed Railway.